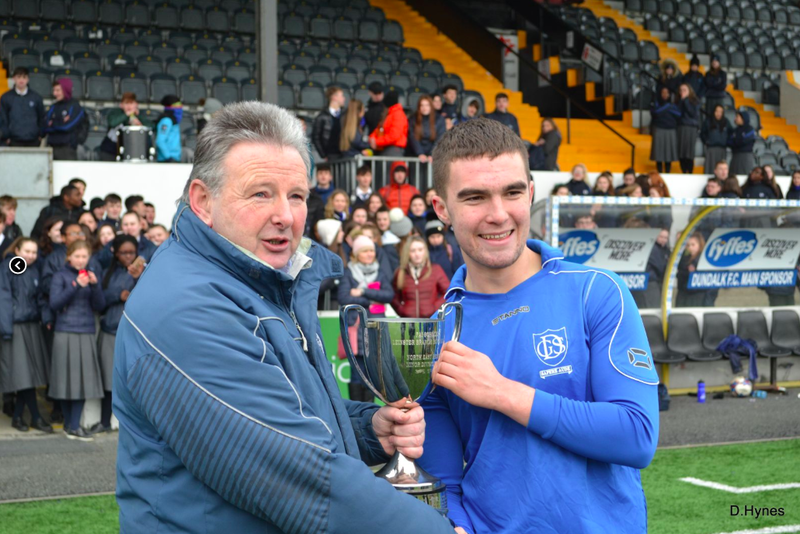 Our u-17 boys soccer team secured a memorable win on Thursday last at a chilly Oriel Park. They were playing Balbriggan CC in the final of the FAIS North East Division Two Junior Final. The boys went 1-0 up through a Josh Wilson effort but should have scored more but were pegged back by a Balbriggan goal direct from a free kick. The teams went in 1-1 at half time. 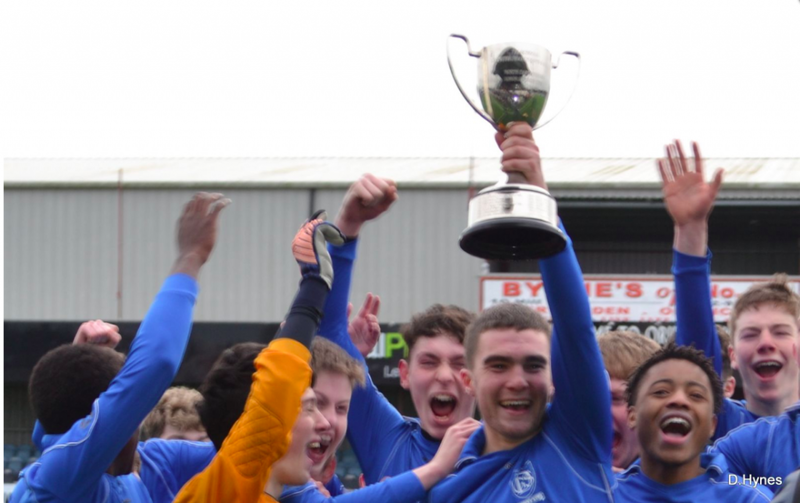 With a strong wind on their backs in the second half our boys started to dominate Balbriggan and goals from Declan Curtin x 3 (Hat-trick) and further goals from Josh Wilson, David Doyle, Captain Jarlath Jones and Chiboy Eriobu saw the Grammar School run out 8-1 winners. Balbriggan lost a player to a red card in the second half which did not help their cause. Huge congrats to all the boys and their coach Liam Burns and thanks to all the staff and students who braved the cold to support the boys. They now play in the Leinster Champions League quarter final at home to Ard Scoil Chiarain from Clara in Offaly at the start of March. Team: Eoin Flanagan, Patrick Mullen, Gavin Meally, Jarlath Jones(c), Kyle Ramsay, Declan Curtin, Josh Cahill, Josh Wilson, David Doyle, Darragh Malone, Cian Murphy. Subs Chiboy Eriobu, Conor Casey, Andrew Cummins, Nathan Kirk, Brandon Collins, Neil McQuillan. View photographs from the Final here.